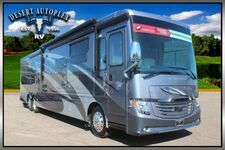 Full-Paint Masterpiece Finish with Clearcoat Finish and Diamond Shield Protection on Front Cap, Convex Chrome Exterior Mirrors with Defrost, Remote Control & Turn Signal Indicators, Entrance Door with Automatic Step, Rear Hitch for Towing Car, Assist Handle at Entrance Door, Mud Flaps, Rear Protective Tow Guard with Stainless Steel Newmar Name Cutout, Undercoating, Hydraulic Leveling Jacks, Stainless Steel Kick Panel at Entrance Door, Hammock Backer, Storage Bins in Pegboard Compartment, and more! Fiberglass Roof with Walkable Decking and Intergrated Gutter Rail, Gelcoated Fiberglass Exterior Sidewalls, Front and Rear Caps, Aluminum-Frame Sidewalls & Roof Construction, 16" on Center, 5/8" Foam Insulation Laminated in Sidewalls & Ceiling, Polar Pak R19 Batten Insulation on Roof, Mechanical Lock Arms on Non Hydraulic Slideout Rooms, and more! Freightliner V-Ride Drive Axel Suspension, Aluminum Wheels, Electronic Chassis Information Center in Dash, Cruise Control, Comfort Drive Steering with Power Column and Adjustable Control, Manual Tilt/Telescope Steering Wheel with VIP Smart Wheel, Recessed Fuel Fills with Crossover to Fill from Either Side, Back-Up Alarm, Anti-Lock Braking System, Chassis Battery Disconnect, and more! Frameless Double-Pane Tinted Safety-Glass Windows, Fantastic Vent with Rain Sensor in Kitchen and Bathroom, Hardwood Louvered Cover on Fantastic Vent in Kitchen, Skylight Above Shower*, Girard G2000 Power Side Awning with Wind Sensor, Remote Control & LED Lights, Dometic Slideout Covers & Power Entrance Door Awning with LED Lights, One Piece Tinted Windshield, Egress Door with Ladder System, Driver Side Power Window, and more! Two 13.5M Penguin Heat Pump Central Air Conditioners, Hydronic Zone Diesel Heat with Continuous Hot Water, Dash Heater and Air Conditioner, Driver & Passenger Dash Overhead Ventilation System, Wall Mounted Sensors for Heating and Air Conditioning, Roof Air Conditioning Drainage System, and more! Demand Water System, Sewage Holding-Tank Rinse, Dometic 321 China Bowl Stool or Macerator Stool*, Sentrel Acrylic Shower Walls with Glass Door*, Fold Down Shower Seat, Water Filter for Entire Unit, Exterior Shower, Auto Fill in Water Works Compartment, Power Water Hose Reel, Systems Monitor Panel, Shurflo 4048 High Flow Water Pump, and more! Bermuda Glazed Maple Hardwood Cabinets with Mitered Raised Panel Doors-High Gloss/Matte Finish, Concealed Hinges on Cabinet Doors, Lifts on Bed Top, Passenger Seat Work Station, Solid Surface Countertop in Kitchen, Bathroom and Bedroom, Pullout Pantry Shelves*, Drawers with Full Extension Ball Bearing Guides, Flexsteel Ultralux Leather Sofa, Driver and Queen Size Passenger Seats, Front Seats Six Way Power, Power Lumber, Recliner and Footrest, Plush Pillow Top Mattress, Extended Rotation Concealed Hinge for Washer/Dryer Cabinet Door, and more! Designer Feature Ceiling and Cathedral Ceiling with Added Height on Rear Bath Floor Plans*, Porcelain Tile Floor in Kitchen, Bathroom, Bedroom and Living Area, Interior Assist Handle at Main Entry Door, Quilted Bedspread with Accent Pillow, 10 Bc Fire Extinguisher, Smoke Detector, Propane and Carbon Monoxide Detector, Decorative Wall Art, Dash Panel Color Coordinated ABS, Power Stepwell Cover, MCD Power Shades at Windshield and Manual Shades Driver & Passenger Side Windows, Waste Basket in Kitchen Base Cabinet, and more! Stainless Steel Convection Microwave with Three Burner Recessed Gas Cooktop, Air Horns, Norcold 10 Cf. Refrigerator with Brushed Aluminum Front, Prep for Two-Piece Washer/Dryer, Flush Gas Cooktop Cover of Matching Countertop Material, Fireplace in Living Area*, and more! Sony LED TV and Blu-Ray Disc Player in Living and Bedroom Areas*, Sony 48" LED TV on Televator in Living Area*, Dash Radio/CD Player with Harman/JBL 180 Watt Sound System and Subwoofer, Rearview Color Monitor System with Audio, Winegard Rayzar Automatic Digital TV Antenna, Satellite Dish Prep on Roof, Two Bedroom Radio Speakers, TV Jack and 110 Volt Recept in Door Side Exterior Storage Compartment, Bluetooth Microphone for Sony Dash Radio, Bose Solo 5 Soundbar Sound System, High Definition Component Wiring, Side View Cameras Displayed onto Rear View Monitor Screen, Winegard Cellular In Motion Wifi Prep, and more! 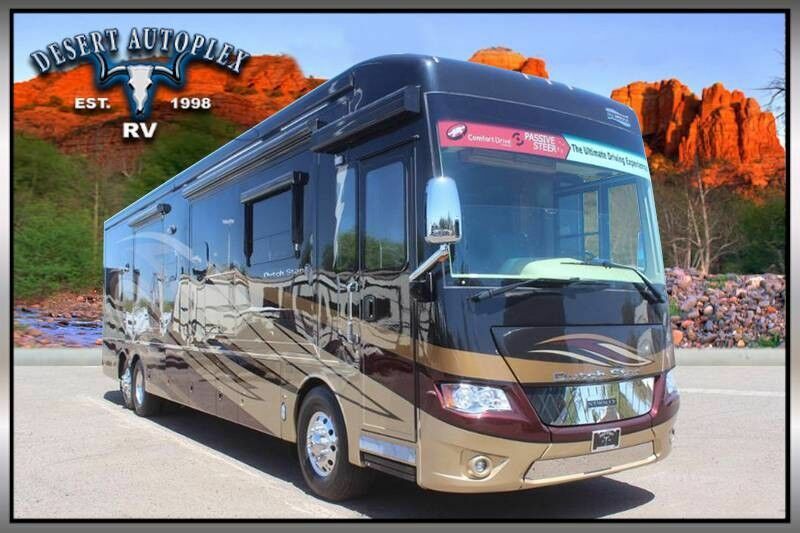 This 2018 Newmar Dutch Star 4369 Triple Slide Class A Diesel Pusher is absolutely stunning! Financing is always available on approved credit, and we will even walk you through your new purchase upon delivery to show you how everything works if you're not familiar already! Call our professional sales team toll free at 1.888.385.1122 today!